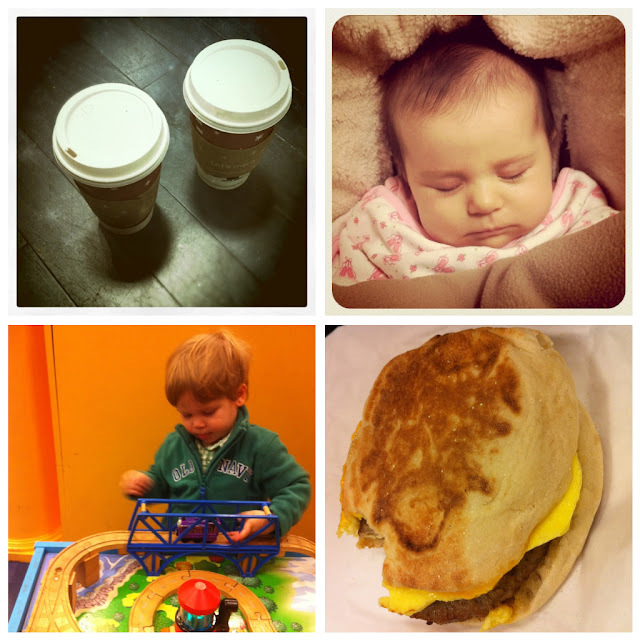 A coffee date with the kids! We went to Barnes & Noble. That way Connor could play with the train table and entertain himself a little. And Isla, well she slept for most of the time. Given that it was a date and all, we splurged and got ourselves some breakfast sandwiches along with our coffee. Yeah, we are crazy kids like that! I am really enjoying this whole little "date" thing, even if all of them aren't true dates. If in the end Ian feels special, I succeeded. I have date number four all planned out. Hopefully it's a good one.